Herbal medicine is the oldest form of medicine in the world. Although it is the most commonly practiced form of medicine throughout the world, it is only in relatively recent years that it has gained popularity in Western culture. Herbal medicine is valued as an alternative medicine in that it offers gentle treatment to a range of illnesses and ailments. Benefits of herbal products are limitless. They help people feel better, more vital and, live longer. Many of these herbs have been used for hundreds of years to treat various illnesses and restoring the normal body functions, and have been proved to be powerful and effective. One of the most appealing qualities of Chinese herbs therapy is the low risk of adverse reaction or side effects, especially when compared to pharmaceutical drugs. It is based on the promotion of health and does not limit its treatment to only one part of the body. Health is represented as a balance of yin and yang – two forces that represent the bipolar manifestation of all things in nature. Herbal medicine is made exclusively from plants. 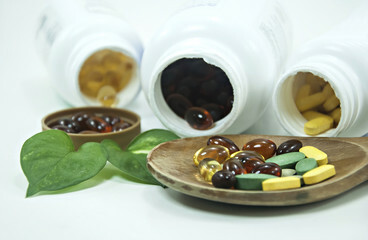 There are many different types of herbal medicines. These vary according to culture and include Western, Aboriginal, Chinese and Ayurvedic herbal medicine. Although they all make use of medicinal herbs, they vary based on the plants used, the way they are prepared and the mode of treatment recommended. 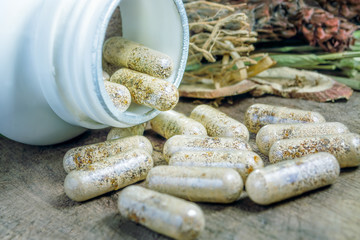 Herbal medicine offers an alternative option to conventional medicine. Herbal medicine may offer a solution where conventional medicine has failed. Herbal medicine can also be used as a complementary medicine alongside other natural therapies such as acupuncture. Herbal formulas in general are also gentle and safe and don’t come with the side effects of conventional medicine. 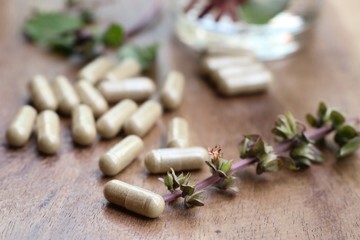 Herbal medicine also comes in a variety of forms such as teas and capsules, making them convenient and easy to take. Preparations can be individualized to suit the personal and health needs of the patient. Herbal medicine can treat a range of illnesses and ailments. Herbal medicines can be used to support overall health and wellbeing or can be used for digestive, respiratory, circulatory, immune, endocrine and nervous system disorders. Herbal medicines can also be used for a range of specific complaints and to assist with the removal of toxins from the body and promote overall health and wellbeing. The initial herbal consultation can take between 30 minutes to an hour depending on the type and severity of the patient’s concern or if the patient is coming for general wellness. After filling out a questionnaire detailing your past and current medical history and lifestyle, the herbalist will review and discuss the information with you to understand and get to know the patient better and be able to establish herbal, nutritional and exercise suggestions. The Herbal consultations are based on the Traditional Chinese Medicine (TCM) diagnostics. This approach is a very specific way of balancing the body by tonifying deficiencies, reducing excesses, cooling heat conditions and warming cold conditions. The TCM technique works to alleviate and cure symptoms of most western disease by balancing the body’s energy. Herbalists may specialize in particular areas such as fertility, digestive disorders or skin disorders. 2 Be Healthy has herbalists on-duty and is always stocked with Chinese Herbs and Chinese medicines . What is Priority Based Remedy? A technique currently practiced by Dr. Galipo when treating her existing patients where she tests each herb and/or medicine with the individuals’ body chemistry and energy patterns to ensure for compatibility and/or reaction to the individual for best results. Walk-in customers will have the ability to purchase Chinese herbs, medicines, tonics, etc. based on priority of their body’s needs to obtain the most effectiveness or to be recommended an appropriate remedy based on their body’s specific needs.